Longlesson Farm is proud to be part of the movement toward sustainable agriculture in Upstate New York. 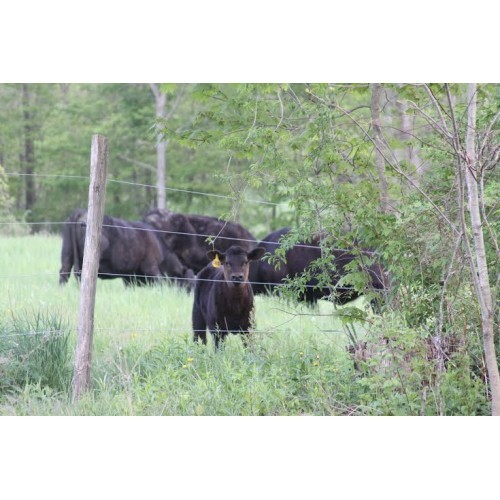 On our family farm, we maintain a herd of about 120 registered black Angus cows and calves. 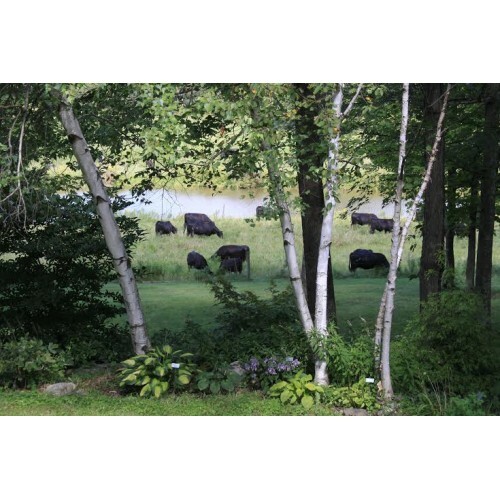 We believe in raising our animals humanely on a forage diet that is natural and beneficial to the cows, and consequently more beneficial to us, the consumer. 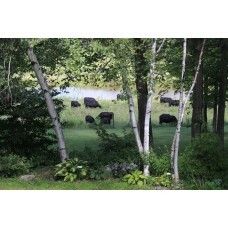 Cows graze the farm's 450 acres throughout the growing season, rotating between fields and moving to fresh pasture each day. With long rest periods between grazings, the fields rejuvenate naturally without additional fertilizers. In the winter, the cows maintain excellent body condition on hay harvested from our own fields, without any supplemental grain. 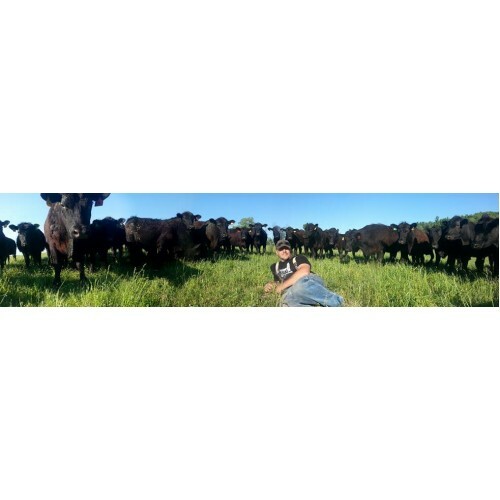 We've found that grass is good for cows, cows are good for grass, and herd health is maintained without the use of growth hormones or antibiotics. Our cows lead a good life, grazing with their companions on lush pastures with clean water, mothering calves, ruminating in the shade, and always being allowed to be a "cow." Our butcher is Eagle Bridge Custom Meat and Smokehouse, a USDA inspected facility just five miles from the farm. They are proud to have received the Animal Welfare Seal of Approval, which guarantees safe and humane treatment of all animals. Ultimately, all this care and attention results in quality meat that is packed with a robust flavor found only in pasture-raised, grass-finished beef. Where to Find our Products: Farmers Markets: Saratoga (summer: High Rock Park, winter: Lincoln Baths), Spa City, Lincoln Baths, Empire State Plaza Farmers Market (Albany - reflecting pools in summer, concourse in winter).